This 3 Days Uganda gorilla trekking fly in safari takes you to Bwindi Forest home to more than a half of the world’s total gorilla population, the 3 days Uganda gorilla trekking fly in safari starts with a charter flight from entebbe airport to Kihihi airfield then drive to Bwindi forest do gorilla trekking and fly back to Entebbe hence calling it an end to our 3 days Uganda gorilla trekking fly in safari. Join Kjong Uganda Safaris for a 3 Days Uganda gorilla trekking fly in safari as we discover Bwindi Impenetrable National Park the home to over a half the world’s gorillas. 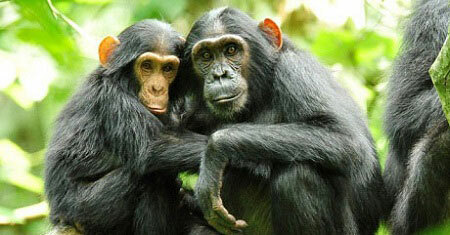 The 3 days Uganda gorilla trekking fly in safari begins with a pick up from your Hotel in Kampala city or Entebbe to the Airport then take a 1 hour flight to Bwindi impenetrable forest for gorilla trekking experience, this will give you an opportunity to enjoy the beautiful aerial of Uganda, After landing at the airstrip you will drive through the rolling hills of either Kihihi or Kisoro before entering bwindi impenetrable forest for a Night at the safari lodge of your choice and where you will meet face to face with Mountain Gorillas as we do the gorilla trekking safari, with that gorilla trekking safari experience, you will be flown back to Entebbe with fresh memories about your safari plus an experience that no one can buy. 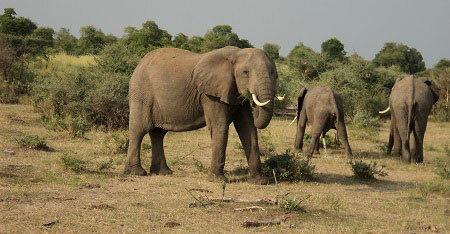 Day 1: Fly from Entebbe to Kihihi or Kisoro Airstrips for Gorilla trekking safari Uganda. 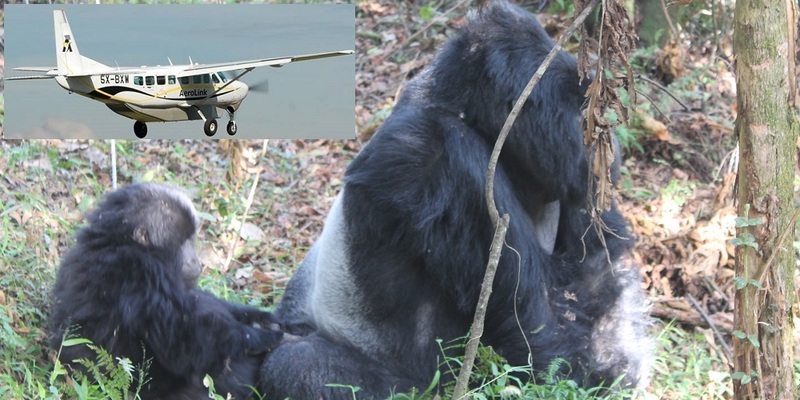 On day 1 of our 3 days Uganda gorilla trekking fly in safari, you will be picked up from your Hotel or area of residence in Kampala or Entebbe then catch up with a charter flight to Bwindi impenetrable national park and depending on gorilla group that we will have booked for you and Lodge you will land at Either Kisoro or Kihihi Airstrips, where your driver/guide will be waiting to transfer you to Bwindi Impenetrable Forest for a Night at Either Clouds Lodge or Chameleon Hill or Gorilla Forest Camp or Bwindi Lodge or Buhoma Lodge for Luxury options or at Silver back Lodge or Buhoma community”The Haven Lodge” or Nkuringo Gorilla Camp for Mid range Options or at Buhoma community camp or Ruhijja Gorilla Friends Camp for Budget Options. Meal plan: Lunch and Dinner. Day 2: Gorilla trekking safari – Ultimate silverback encounter. Day 2 of Uganda gorilla trekking fly in safari starts with an early breakfast, then you will be taken for briefing on the do’s and Don’ts when you meet face to face with rare silverback gorilla, and after you will be ready to go for real experience in Bwindi impenetrable forest, it’s not an easy exercise because it involves hikes, and for the weak ones we advise you to take Porters to help you during the Gorilla trekking experience while in the jungle. The trail can take between 2 to 6 hours depending on how the Gorilla groups will have Moved and you will come back to your Lodge to refresh and relax, with another Overnight stay. Meal plan: Breakfast, Packed Lunch and Dinner. Day 3: Fly back to Entebbe international airport. As we mark an end to our 3 days Uganda gorilla trekking fly in safari, after breakfast you will be driven to the airstrip for a charter flight back to Entebbe International Park, hence look forward to hosting you again. Meal plan: breakfast. Souvenirs and any other items of personal interest. No smoking is allowed while with the gorilla premises or within a distance of 200 meters from the gorillas. Keep Distance of 7 meters (21 feet) away from the gorillas. Do not use flash photography as they may scare away the gorillas. Do not make loud noise or move suddenly. Anyone with flue or Diarrhea or any sort of communicable diseases will not be allowed to enter the park for Gorilla tracking safaris. Always stay in a tight group while with the gorillas and do not surround the Gorillas while meeting them. Persons aged below 15 years are not allowed to do gorilla tracking. Wear comfortable hiking shoes or closed boots suitable for steep muddy slopes. For those who may not be comfortable with jungle sounds Put on ear plugs. Carry a packed lunch and enough drinking water. Don’t forget to carry rain gear, weather gloves, sunscreen lotion and a hat as the Bwindi has unpredictable weather. Carry with you insect repellent. You can carry photo camera though using flashlight is not allowed in use during the encounter with Gorillas.